Lebanon teeters on the brink as Shia terror group looks set to join looming regime offensive in neighboring Syria. Four rockets fired from Syria have struck the town of Hermel, a Hezbollah stronghold in north-eastern Lebanon. Security officials told the Lebanese Daily Star that one of the rockets struck a Lebanese army barracks in the town, but that no casualties were reported in any of the strikes. A fifth rocket landed in the town's outskirts. The Daily Star quoted unnamed sources as saying that the rockets were targeting "Hezbollah artillery installations" in the town, which were previously used during the bloody battle for Qusair earlier this year. In that 17-day fight for control of the strategically important region on the Syria-Lebanon border, Syrian government forces and Hezbollah fighters eventually defeated rebel forces, amid serious losses on both sides. Hezbollah involvement in the battle for Qusair triggered a series of attacks against the group's bases of support in Lebanon, including rocket attacks and car bombings. This latest attack comes amid heightened tensions in both countries, as Syrian regime forces and an assortment of allied Shia militias - including Hezbollah - are reportedly gearing up for a large-scale assault on the rebel stronghold of Qalamoun, also near the Lebanese border. 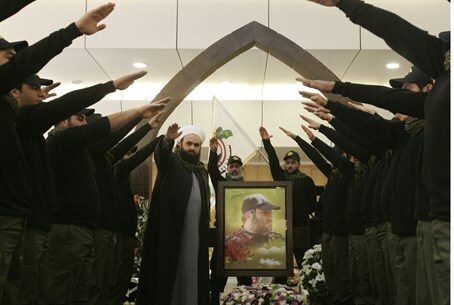 Many Lebanese are concerned that Hezbollah involvement in yet another bloody battle against Sunni rebel forces could be the spark which ignites their country's already smoldering sectarian tinderbox.